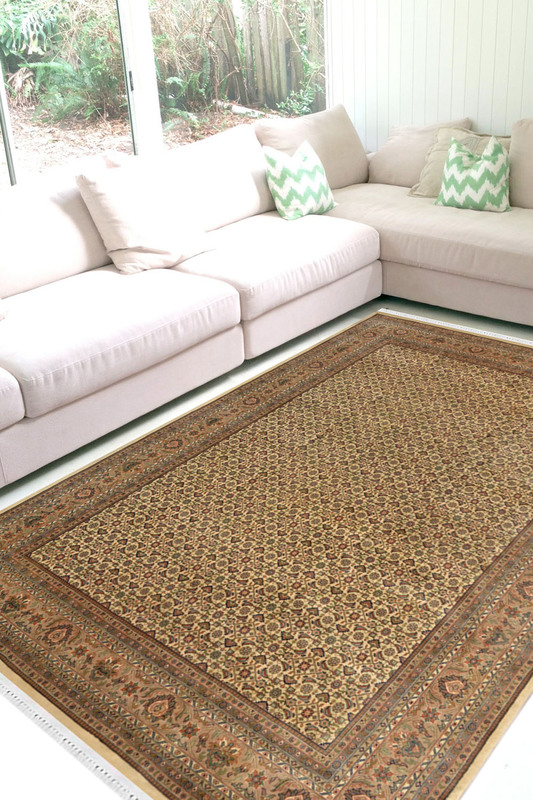 This Beautiful carpet is in bidgar design with beautiful and very tiny pattern in cream color. This is totally handmade carpet. This carpet is ideal for the dining room. - This is a "One of a kind" handmade woolen carpet which is made of very fine quality material. - This has an intricate design with a beautiful pattern. This carpet is made in bidgar design. - The main color of this carpet is cream color and border is also in cream color. - It has taken approximately 6 to 7 months to weave. - This rug is suitable for simplistic interiors and enhances the design of the overall look of the room.